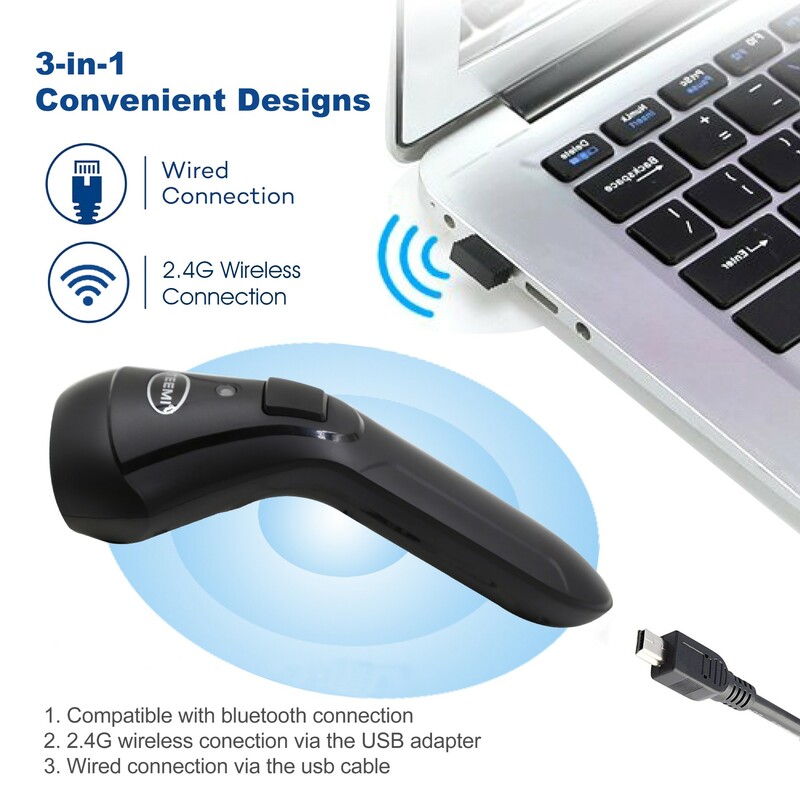 【3-in-one Connection】2.4G wireless + compatible with Bluetooth4.0 function + USB2.0 wired, The scanner is compatible with different kinds of devices. You can connect Windows PC or MAC OS via 2.4G wireless; pair with IOS , Android phones, tablet wireless, no need to install any software, very easy to use. 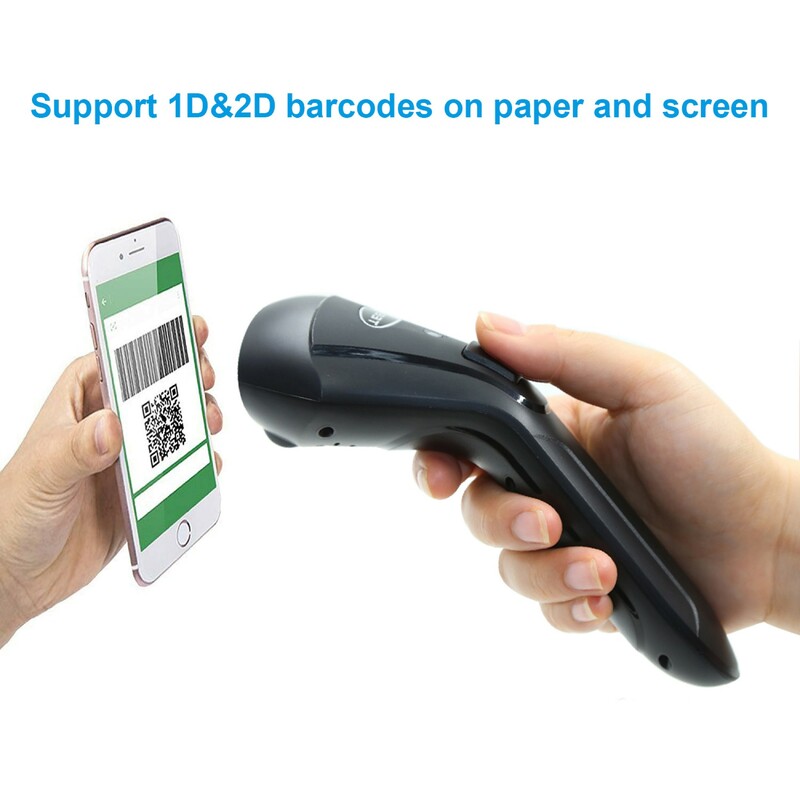 【Screen barcodes supported】This scanner is using CMOS Scanning technology which makes it capable of reading barcodes on your phone and laptop screen. A great convenience for mobile payment at stores and supermarkets. 【Mass offline Storage】Built-in 2MB high-capacity memory, support 600,000 QR Code offline storage. 【Ergonomic Design】Exquisite ergonomic design, weighs 130g, with comfortable grip feel, and long time operating without fatigue.